It’s never good news when a shop closes down. As well as the job losses and empty shops on the high street (or more likely retail parks in this case), there’s less competition. When it comes to electrical stores, we’re basically left with PC World, Dixons and Currys, which all belong to the same company. The danger is that this could lead to higher prices on the high street. However, the thin silver lining for you and me is that we can shop for bargains in liquidation sales, or ‘fire sales’ as they’re also known. These see the companies selling off their remaining stock for knock-down prices in an attempt to raise as much money as possible. While 10% off shouldn’t be sniffed at, it’s worth remembering that you’re effectively forfeiting your Sales of Goods Act rights when you buy from Comet’s sale. You’ll have the manufacturer’s warranty for a limited amount of time, but you won’t be able to get a refund from the retailer. You’ll have some protection if you buy sale items on your credit card, but is 10% enough to give up one portion of your consumer rights? @whichtech Just paid Comet another visit & it’s Busy! Now 20% &even 30% off some products. Scored a Humax DTR1000 for £195 down from £279. Are you disappointed by Comet’s liquidation sale? What type of discount would you expect, and more importantly, how much would you want off to give up your consumer rights? Should we bother with gift vouchers anymore? I’m more disappointed at stories where staff have told customers they put prices up on the 6th in readiness to discount today. And I’m not surprised the sale is a bit of a damp squib. Remember Woolworths upto 70% closing down sale, with the 70% in letters taller than most people, yet the only thing reduced that much were the greeting cards. If shops don’t learn to treat their life blood (that’s us) better, then more and more will go under. With no chance of dealing with the retailer in the event of a problem, I don’t think 10%off a large ticket item would tempt me. As it stands, some items we saw today are much more than ASDA’s regular price. The store looked as well stocked as it has always done, and only slightly busier. People all around were commenting that it was not enough to make it worthwhile. I will miss comet. I really feel for the staff. They were really professional and I hope someone can give them lasting employment soon. I shall be sorry to see the last of Comet. They were rarely the cheapest store but they were accessible in towns where the competition sat outside in retail parks. Perhaps that’s part of teh reason why they failed ~ car-bound people like out of town shops with big car parks. Most of their staff knew what they were talking about and seemed glad to help. Now I shall have to take the bus out of town to Currys or, more probably, order online from Amazon or John Lewis. But I agree that, in current circumstances, 10% is not tempting enough ~ even their usual margins must be higher than that. I have been in plenty of Comet stores in retail parks with parking. I’ve only ever seen Comet in retail parks. I am very sorry to see Comet go under. Before it’s arrival in the 70s (even with the abolition of RPM) it was virtually impossible to buy electrical goods at less than the RRP. It seems to me that they changed the face of white goods retailing. Lord Sugar was one of the prime beneficiaries of the emergence of Comet discount stores. I still remember purchasing my first Amstrad hi fi separate system – I bet I’ve still got it in the attic. I now expect to see white goods prices rise on the high street. Agreed, except that Amstrad separated could hardly be described as hi-fi, which had some meaning back in the 70s. Sugar has admitted certain Amstrad products were not very good. John Lewis it is then. Your right the discounts on offer are very disapointing for the consumer. However the adminastators must make every effort to get as much money back to the suppliers in a limited period. That said, I was very disapointed with the discounts. Only 10% off of all large/expensive products, then 20% of off accesiores. I did spot a couple of display TV stands marked down to 30%. I took the time to visit two stores (Cheltenham and Gloucester). I was interested in the top of the range Samsung 50″ 8000 Serise TV but the last one on display was only 10% off and it looked pretty grubby where there had been glue on the surrounding frame. I know from two recent purchaces of Samsung LED TVs that the manufacture give a two year warrenty. But only 10% off an ex-display TV. Come on I would probably be able to beat that from an on-line store. Besides it’s a £2000 TV. I also took the time to visit 2 stores; Northants and MK but was dissapointed at the the discounts. Whilst I appreciate that th admits traitors need to make every effort, th discounts represented little value over normal offers prior to the sale. I did seriously consider a 2.1 bluray home cInema system but the only one available with any kind of discount was shop damaged and supplied without a remote!!! Combined with the loss of any ongoing customer support from Comet I was not convinced to purchase anything and headed off to Richer Sounds instead. Since seemingly being ripped off by Comet regarding a cash back campaign with apparently no cash, there would be nothing they could do to get me to shop in a comet. The first item I bought which was stolen shortly afterwards and the last item, a large freezer, I vowed never to enter ever again, I thought the staff were often ill-informed or dishonest. Purchesed an ex-display Sony ipod dock this afternoon at Comet (without the box – I think the sales assistant was too lazy to go and look for it!). Realised when I got home that there should be a remote with it! If I go back to the store tomorrow, am I within my rights to get my money back if they do not have the remote for the ipod dock? No chance – they will not refund. I ordered an iPod last Saturday which did not arrive for my sons birthday. It did not turn up. Comet refused to give a refund. Best they could offer was other products of the same value. Thank goodness I paid on my credit card. The fact is Comet are going out of business. Administrators are appointed with the legal duty of care to raise as much money as possible to service the debts of the company to its creditors. Unfortunately they are failing comprehensively since the goods on sale are not particularly tempting to customers. Therefore the scam of selling of stock in bulk to another company is about to be played out. I hope so much that the OFT are paying close scrutiny to this and that all creditors bring an action against the administrators, should they fail to meet all debts. I am obviously annoyed personally because I wanted a cooker a washer drier and a new computer at a good discount. They may yet announce a final reduction prior to the sell off. What really annoys me is that some items on display are not even being put up for sale. I suspect something is afoot. I went into comet a few days before we even heard about the pending close down. Where I shopped Comet was next door to Currys. I was amazed at the time how very expensive Comet prices were in comparison to the same products in Currys, it’s the first time I’ve even seen that happen, usually the price differences were pretty marginal and had to do with the model number. I think when looking at the 10% discount it may still be worthwhile checking that it’s not still more expensive then other shops, especially since there are many discounts available if you’re willing to look at online shopping. I actually believe that the staff weren’t lying if they said the prices were raised in advance of the pending sale. It certainly explains what I noticed. I shall not be sorry to see comet go.Their customer service was terrible and since dealing with their company i have never purchased anything from them. I am not surprised that Comet has down, I bought a laptop, paid cash,within a week I found the laptop faulty took it back, the assistant after examinaton agreed told me select replacement the manager appeared rejected my complaint was aggresive to the assitant , I left the store complained. to headoffice and was fobed off. Service dreadful. Bought a Tumble Dryer. Duped into thinking I was getting a bargain with the 10 percent off. Had to have the one of the shelf that was slightly scratched. They would not give any further discount for it being shop soiled, saying the Liquidators were very strict. Got home and decided to check out what a bargain I had got, and found that even after the discount I could have got the same machine at currys, brand new at the exact same price as I paid in the comet liquidation sale. Shame on you Comet. I came in to get a bargain and to wish the staff luck in finding a backer to continue, got home and then just felt I had been ripped off and taken advantage of. If you are going to believe that every sale is offering the best price you are going to be disappointed on a regular basis. 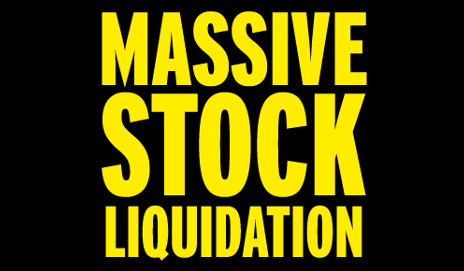 The liquidator is trying to get the best price for the remaining stock so that creditors can be payed. That is their job. I went into Comet at the start of the sale and was interested in a couple of items, but realised that I had no clue about whether or not the prices were good, so I walked out. One of the prices was as cheap as I could find elsewhere and the other was more expensive than an online retailer. There may be bargains to be had later in the sale, but watch out for display models or opened packages. If there is a part missing or the product does not work you would have to take it up with the manufacturer because no exchanges or refunds will be given by the liquidator. I purchased an item at comet which stated it was 30% off, I went into Currys and found that the item was cheaper at Currys original price, what a CON! It is a pity TRADING STANDARDS could not intervene and save a lot of customers the anguish of trying to find genuine bargains for Christmas. I will miss Comet. They were my favourite electrical retailler, I chose them over Currys every time. I find the staff in Currys pounce on you the second you walk through the door, and their after sales service is terrible. Comet were not perfect, but certainly better. Please can you answer a question as there does not seem to be ANY reference to exchanges on UNUSED goods. I purchased an oil filled readiator today Monday 19th November 2012, discounted to £31.99 from £39.99. (ref…….464031 PROL O15) From the Comet store in Chelmsford Essex (store ref 1080) I purchased on my American Express card. I have not open the box yet and would like to exchange for a more expensive item…..which is an OL FREE radiator by Dimplex normal proce £199.95…….with 20% discount….approximate price now £95.99) Am I able to exchange the original purchase within the next few days. 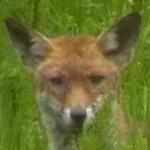 I live about 15 miles away from the store which is the nearest branch to where I live, so I don’t want a wasted journey and cannot seem to get through to ANYONE or any department by phone, nor are there any options on line to my particular question. PLEASE HELP! I paid for an iPod which did not turn up and I was not allowed a refund. When they called the administrator, they said that I could have other products to the value, but was an exceptional circumstance. My opinion is that I don’t think you stand a chance as they are not allowed to refund. In your case, they would have to refund on the cheap product for you to buy the more expensive one. Good luck! @benita, Any questions you have will probably be dealt with on here. Although having just read through it, you probably won’t like what they’re saying. Basically thier answer is tuff. Although as someone has already mentioned, it may be worth ringing the store to see if they’d be prepared to swap, but its doubtful they will. But it’s worth a try.